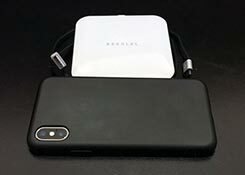 For a little more than what you pay for with some other wireless chargers, you get a well-designed wireless charger and almost invisible phone case. Wireless chargers a dime a dozen these days. With Qi-enabled chargers being made by everybody, it’s hard to distinguish yourself from the pack. Bezalel’s newest offerings look to do just that with Apple-esque style polish and flare. I had the opportunity of taking the Futura X Wireless Charger and Latitude magnetic case out for a spin. 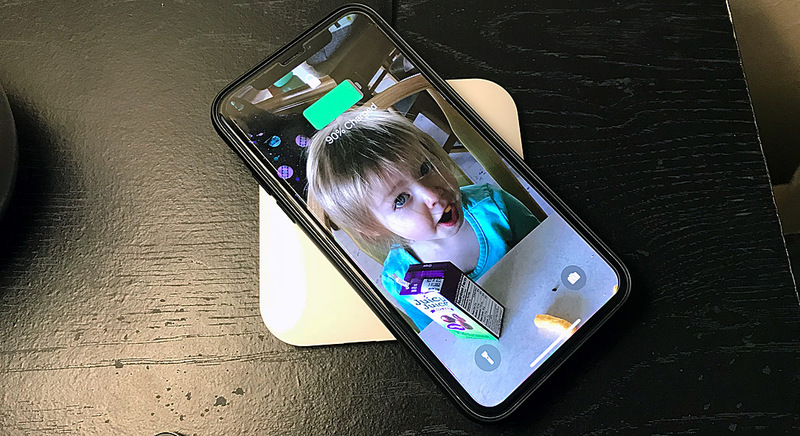 We liked the Bezalel Omnia wireless charger in our previous review, do the Futura X and Latitude follow in its footsteps? Let’s find out. For the Futura X Wireless Charger itself, the charging pad, a micro-USB cable, and a user guide were in the box. I’ll admit, I was a bit miffed at first about the lack of a charger itself in the packaging. Though, with the plethora of Apple USB chargers, quick-charge chargers and other USB chargers I have, it wasn’t too much of an issue. Plus, I think this gives people the opportunity to find the right charger for them. 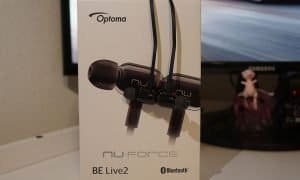 Personally, I used a Quick Charge 2.0 charger from Aukey I had lying around. As for the Latitude case, there isn’t much to expect. It’s a phone case. That’s all you get in the box and really, do you need anything else? Right out of the gate, the first thing you’ll notice about the wireless charger is that its Apple-esque in design. 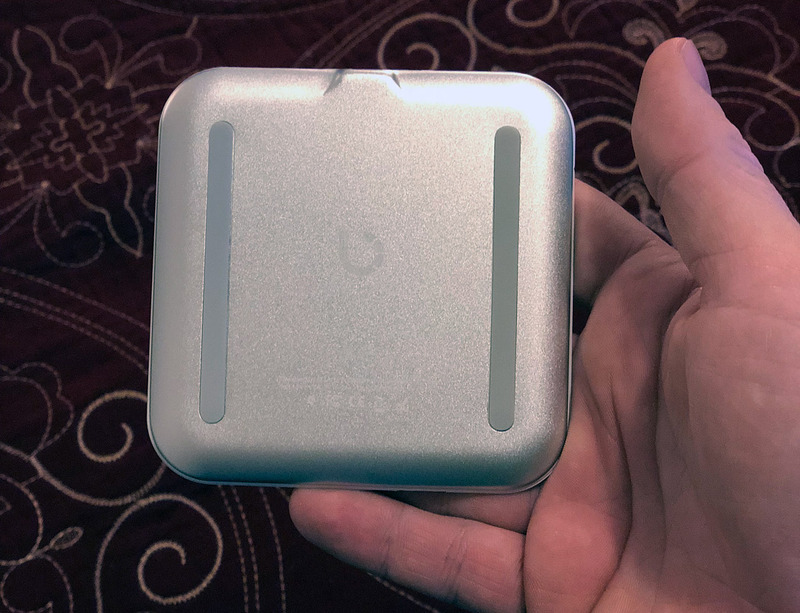 From the brushed aluminum to the solid plastic, it reminds me of Apple’s wireless charger for the original Magic Mouse. It feels like the perfect accessory for the Apple fan and will compliment any Apple-centered desk. The Futura X reminds me an official Apple accessory in both design and build quality. I use it on my nightstand and I very much like the way it sits there. The square-design with rounded edges give it a sleek but soft look. Plus, it gave my nightstand an added elegant but simple look, which in this day and age of multiple cords and chargers, is much appreciated. The Futura X’s simple but premium design will look great on a nightstand. It’s hard to gauge ease of use on a product that you plop your phone down on to charge. But, that’s not the case with Futura X. While I’ve had to retry several times on other wireless chargers to get them to register a charge, I haven’t run into this problem yet. I think that has a lot to do the Latitude’s magnetic positioning. I was skeptical at first, but it’s nice to just plop the phone onto the wireless charger in the dark and not have to fidget with it. The wireless charger performs as any wireless charger should. You place the phone on the pad and that’s about it. The Qi standard charger is quick charge capable, which means you’ll get a decent amount of juice quickly to power your phone if you need battery life in a hurry. For my usage, the charger sat on my nightstand and I just placed my phone on it whenever I wasn’t using it. It seemed to charge my phone just fine. Pretty cut and dry. When it comes to wireless chargers, there’s a possible issue of heat buildup as the pad charges the device. However, I didn’t notice really any heat buildup or temperature change. The pad is well designed in that regard. A common issue with wireless charging, I didn’t notice any heat buildup on this one. As for the Latitude case, it’s been toddler tested. As my 2-year-old daughter ran around the house with the device as she watched the same Bubble Guppies episode on repeat, she dropped it several times. I cringed as the tagline of the iPhone X being Apple’s “most breakable iPhone ever,” flew through my brain. However, the case did well in keeping the phone solid and in one piece. In fact, the only thing that broke on the device was its glass screen protector. It’s easy for me to tell you that the case does well in drop protection. My only complaint is that the case is a bit slippery. Whenever I placed it on an armrest of various furniture, I found the device slid off easily. Even so, it has decent grip in my hand. It has a weird combination of grip and slipperiness depending on the surface its placed upon. Here’s the kicker, the case itself isn’t overly big either. In fact, during my use, it felt almost invisible and didn’t impact the phone size in any big way. 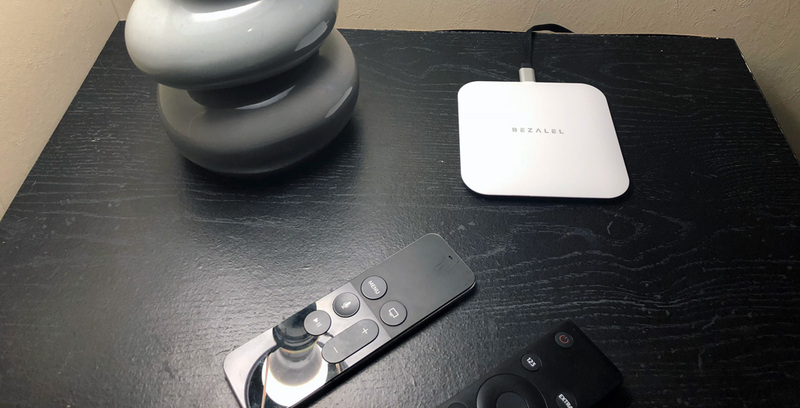 It’s hard to have decent drop protection in an almost invisible design, but somehow Bezalel nailed it. A premium wireless charger should come at a premium price point, right? This well-designed charger comes in at an MSRP of $49.99USD. That’s about $10 less than Apple’s certified wireless chargers. 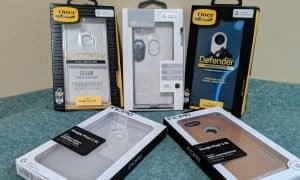 The case comes in at $24.90USD so, while you’ll pay about $15 more for the case and charger together than you would on a premium wireless charger, you get a lot more bang for your buck by doing so. The Futura X Wireless Charger and Latitude phone case are a great combination. For a little more than what you pay for with some other wireless chargers, you get a well-designed and, in my opinion, a beautiful looking wireless charger and almost invisible phone case. Are there other, cheaper options out there? Sure. 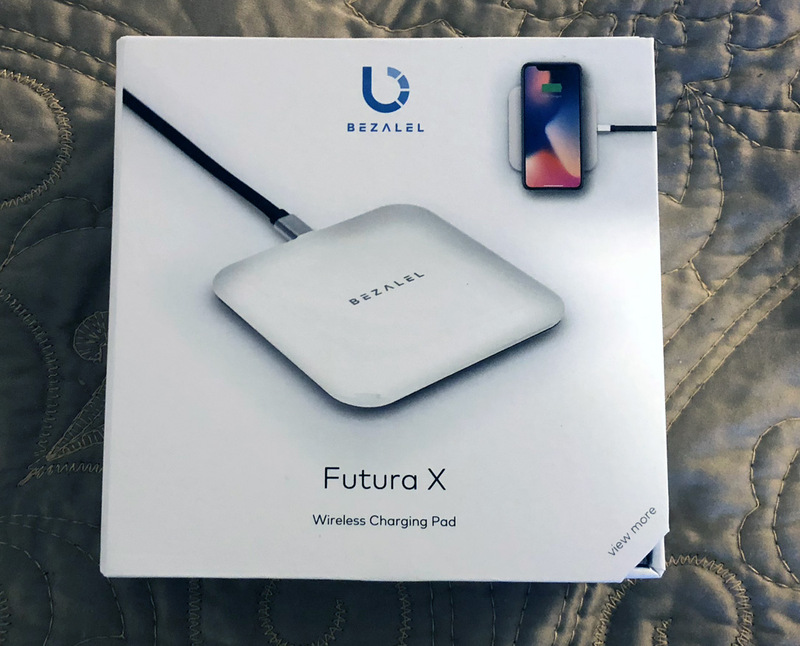 But if you want a premium wireless charger without paying a hefty, premium price, my money is with Bezalel’s Futura X. The same goes for the Latitude case. For the same price as some other phone cases you get the added benefit of magnetic positioning. 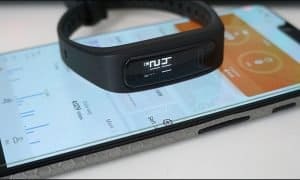 You also get the added benefit of drop-and-go charging the phone without the hassle of fumbling around to find the proper position on the charger. 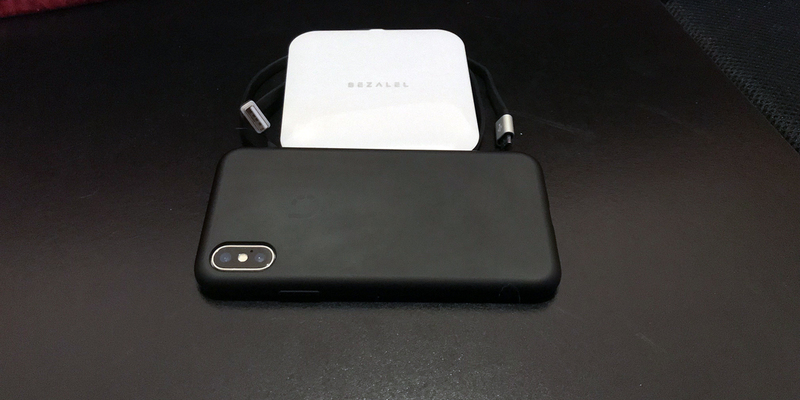 For this iPhone X user, the combination of Bezalel’s Futura X Wireless charger and its Latitude phone case is a match made in heaven. 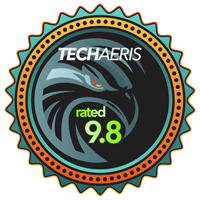 *We were sent demo units of the Futura X Wireless Charger and Latitude Magnetic Case for the purposes of this review.